Who's "go to" fashion color isn't black? It's a color that most of us can easily get away with. Our Sasha Little Black Dress is the perfect everyday dress that you can dress up or down. And did we mention it has pockets? 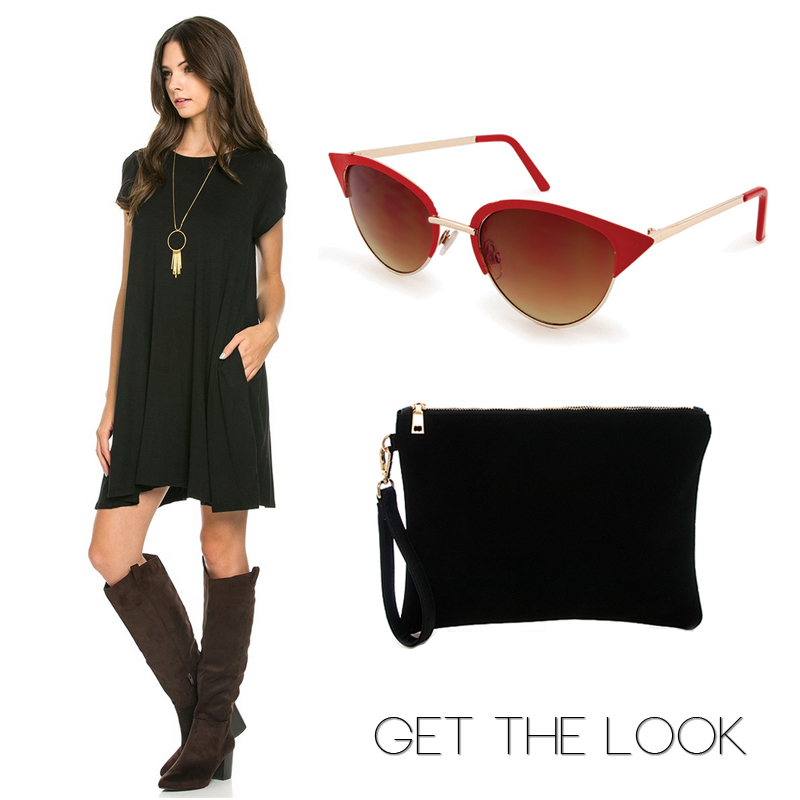 Add a long necklace and some bangles, add our Joni Suede Wristlet and Cape Cod Cateye Sunglasses in red for a pop of color to complete the look.